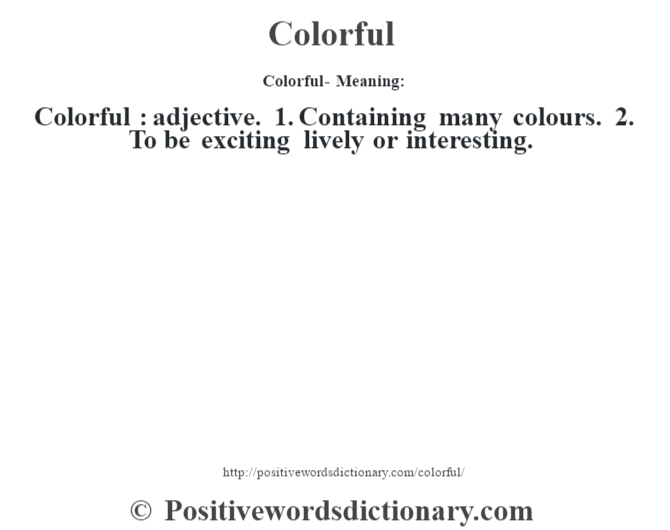 Colorful : adjective. 1. Containing many colours. 2. To be exciting lively or interesting.